You may be very familiar with the red, irritated, and watery eyes that signal pink eye (conjunctivitis). Other eye infections may be less familiar but can put your vision and eye health at serious risk. 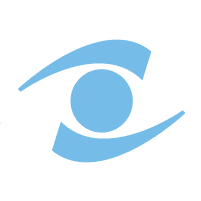 The eye doctors at Rocky Mountain Eye Center can quickly diagnose which infection is causing your symptoms and provide treatment that helps prevent serious harm to your eyes. Don’t wait. Call the location nearest you — Missoula, Hamilton, or Butte, Montana — or schedule your visit online. Eye infections can develop from bacteria or viruses or may be fungal in nature. It’s important to determine which type you have because treatment is different for each. Bacterial conjunctivitis (pink eye), for instance, responds to antibiotics, which may be supplied via eye drops, ointment, or oral medications. What are Some Common Eye Infections? Some infections, such as endophthalmitis, can cause severe eye pain and partial or complete vision loss, which requires urgent medical attention. How Do You Treat Eye Infections? Treatment varies and depends on the type and severity of the infection. The goal is to relieve your discomfort and address the underlying cause of your infection. Therapy may range from the use of eye drops or ointment, to comfort measures such as warm, moist compresses to the eyes. In the case of endophthalmitis, you’ll likely need an injection of antibiotics delivered (painlessly) directly into the eyeball. If you develop symptoms of an eye infection, schedule a visit at Rocky Mountain Eye Center sooner rather than later for relief from your symptoms and to help protect your eye health.